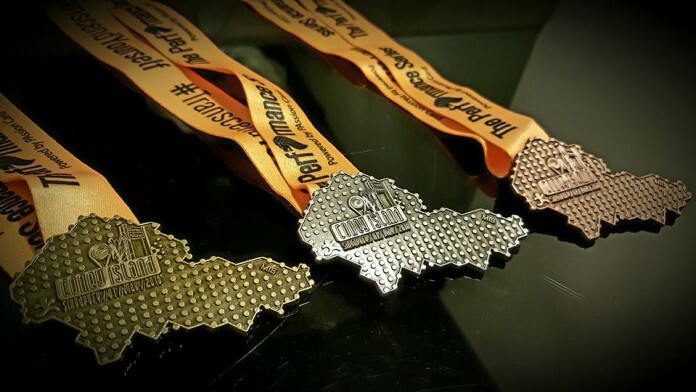 Race Review: The Performance Series 1 – Oasis/Island [10km] (by Jillian) | JustRunLah! 1 May 2016 marked the start of the first race of The Performance Series. It was held at Punggol near Punggol SAFRA, a place that is rather easy to find as it is right in front of Sam Kee LRT station. The flag off for 10km wave 1 started off at around 7.30am. Running alongside the waterway was rather nice all thanks to the beautiful scenery. And since it was still rather early in the morning, the sun wasn’t that hot. The running pathway was also rather wide and they had several volunteers stationed along the way to help guide the runners. The run got a little boring when I turned towards Coney Island. There weren’t much to see except for trees and the trees weren’t providing us much coverage from the sun which was blazing hotter and hotter by the minute. The road was long and straight but the bridge towards Coney Island in the far distance kept me going. I’ve never been to Coney Island before and was really excited to explore the place. We entered Coney Island through the west entrance. The moment I passed the gate, I could feel a drop in temperature as I was welcomed by rows trees that lined the pathway. The trees provided a shelter away from the blazing hot sun. The air also felt fresher and it was really wonderful to be able to run in such environment. Running along on the sand and gravel was a new experience for me too and I soon came to enjoy listening to the soft crunching rhythm of sand and gravel underneath my soles. 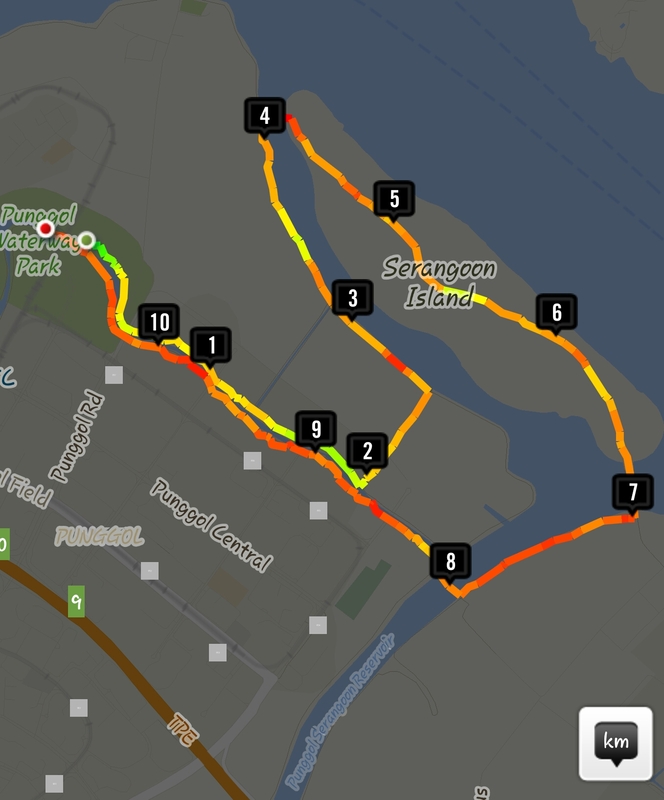 The run through Coney Island was enjoyable but rather short-lived as I exited the area and was greeted by a road bridge that led me back to Punggol. On that bridge, I experienced the merciless heat of the sun on me and I started missing the thick foliage of Coney Island very soon after. The return journey was along a rather narrow path that was covered with gravel and occasionally a puddle of muddy water alongside the road. 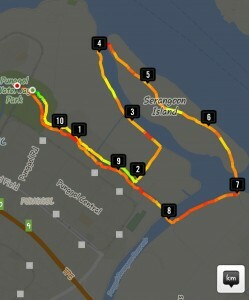 The road then led back to Punggol Waterway and eventually the finishing point. There were a number of hydration points along the way which was really helpful for the runners due to the hot sunny weather (P.S. And special thanks to the volunteers who worked hard to pass us drinks!). The energy drink provided – Lucozade, had a really nice taste. Just like orange juice! I was rather surprised by it as I have always been skeptical about the taste of orange flavoured drinks as they always tasted really fake. There were several mobile first-aiders along the way and I could see that the organizers really cared for the safety of their runners. The distance somehow felt longer than 10km! And upon checking on my running app did I realise I have completed a distance of 11.4km, the longest distance I have ever accomplished. The queue after the finishing point was rather long as everyone got jammed trying to go up the stairs to the race village. The collection of medal and finishing itself was fast. But as I looked at the medal, I doubted myself a bit, wondering whether the colour of my medal was indeed gold. It doesn’t look that gold to me and since there weren’t any indication of the distance ran, I had to look at the medal of my fellow 10km runners to check whether I got the correct one. I did get the right one. It just doesn’t look gold enough. The sizing of the finishing tee was good and mine fitted well. All in all, the race was a rather good experience although the journey was longer than expected.